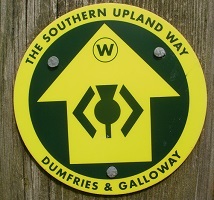 The Southern Upland Way (SUW) is a 212 mile Coast to Coast walk in Southern Scotland from Portpatrick to Cockburnspath. 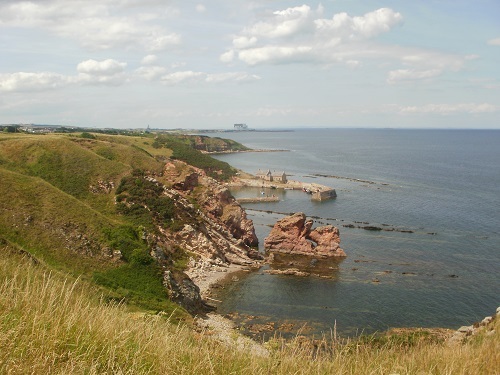 The SUW was opened in 1984 and is one of the 19 National Trails in the UK of which there are four in Scotland and is the only official Coast to Coast walk (the English version from St. Bees to Robin Hood's Bay isn't official). It travels through many remote areas especially on the western part mainly on good paths, tracks and quiet roads giving you fantastic views all around you. As you head East, the towns and villages get closer together giving you some shorter walking days and more choice of accommodation plus there are many more shops, takeaways and pubs to keep you going. I walked the SUW in July 2018 in the middle of a heatwave but it wasn't too hot on the SUW, the breeze on hills being very welcome. I was fortunate with the weather and only had one day where the rain was long enough to mean not much scenery and limited visibility, the other days would see beautiful scenery as far as the eye could see. I found the SUW to be mainly well signposted although in some areas the signs could do with being updated and a few extra installed in sections of grassland and moorland where they are hard to spot or are far apart and can't be seen. 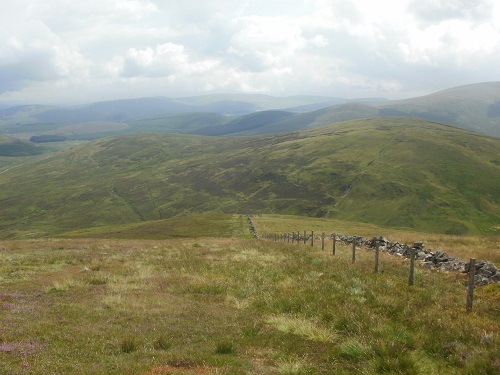 The SUW is regarded as being a lower level walk and doesn't climb as many hills as some other walks but it still has plenty of climbing involved, but this just gives you better views. You won't see many people on the route, infact many days you won't see a single person in 20+ miles so it's an ideal walk if you do your best thinking out on a trail and you get all the scenery to yourself to enjoy. 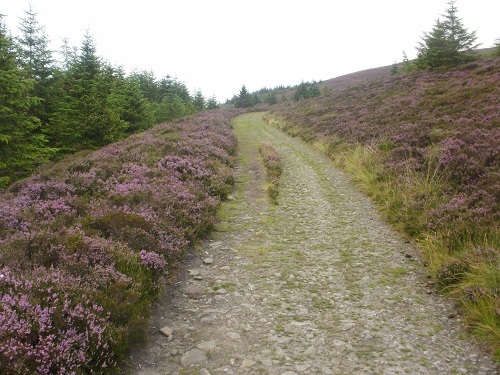 The SUW is one of the less walked National Trails mainly due to the length of it and how difficult it can be to plan and book accommodation along the Way. I walked the SUW in twelve days, but it could be done in two or three parts if you don't have the time to do it in one go but I like the challenge and the feeling you get at the end of the SUW as you approach the end after a long adventure. 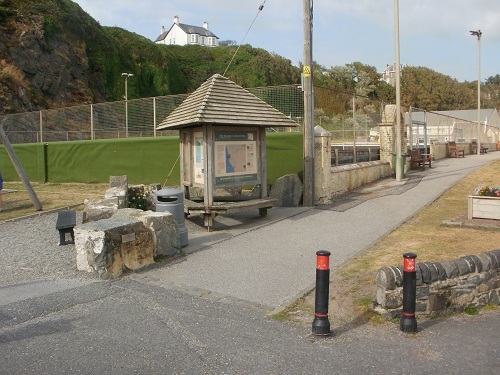 After walking for over 212 miles there is a certain satisfaction and a sense of achievement when you turn a corner and see the point where the walk ends but there's also a sense of sadness that your walk is over and you then have to get back to reality, although your back, legs and feet will be glad of the rest. I hope you enjoy reading my account of my July 2018 SUW walk and the photos although photos never do the scenery justice. I hope that if you intend doing this walk or part of it, you enjoy it as much as I did. 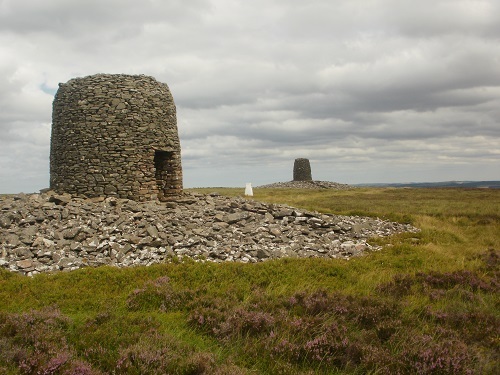 You can buy a map or guide book for the Southern Upland Way by clicking on one of the links on the left side of the page.